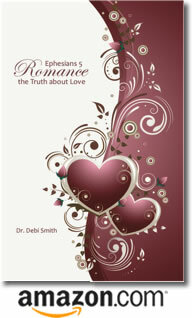 Debi Smith, PsyD, is a California Licensed Psychologist (PSY21711) and Executive Director of OC Christian Counseling. Dr. Debi earned her Bachelor of Arts degree at MidAmerica Nazarene University, and her Master of Arts (MA) and Doctor of Psychology (PsyD) degrees at Rosemead School of Psychology-Biola University. She is an experienced Couples Therapist, offering educational programs, relationship evaluations, and counseling for dating, engaged, and married couples. Dr. Debi is a former professor in the Undergraduate Psychology Departments at Azusa Pacific University (APU) and Biola University. In the Fall Semester of 2008, she taught a course on the Psychology of Men at APU. This course provided a brief survey of biblical, sociocultural, and psychological views of traditional men and masculinity. Particular attention was given to Attachment Theory and current research in understanding the impact of life experiences on men’s emotional and social development. Dr. Debi developed Dance With Me, an experiential workshop for Christian Couples. To schedule a Dance and/or Workshop in your city, please contact Dr. Debi via email.